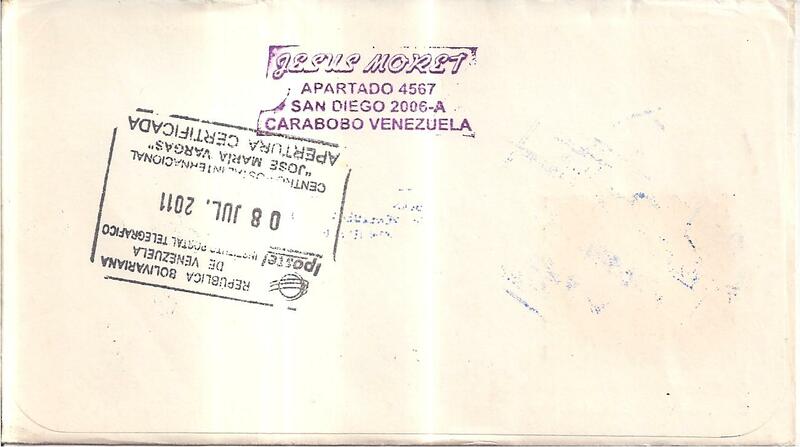 A postcard from Venezuela, sent by Jesus Moret. 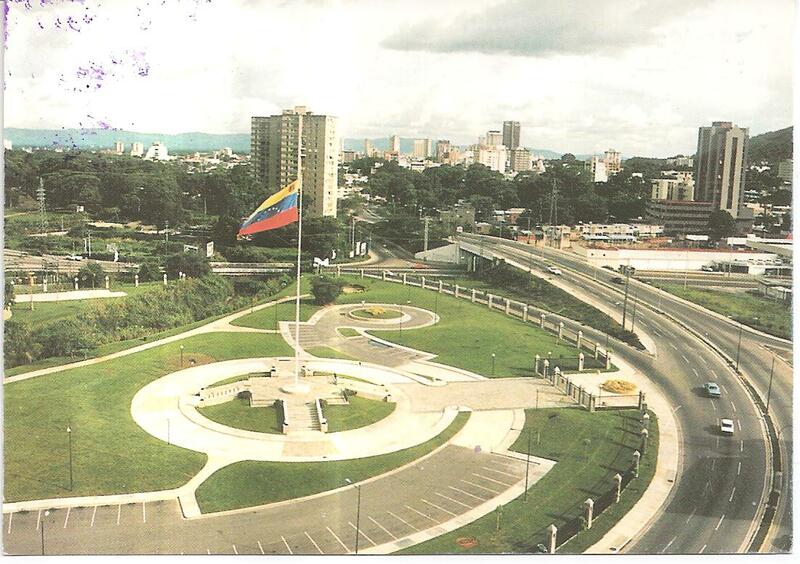 It shows Fernando Peñalver Park in Valencia, the state capital of Carabobo in Venezuela. At the back Jesus affixed one stamp. There are two cancels and one of them is quite heavy on the stamp. Each cancel comes with a different postmark date: one is 4 May 2012 and the other is 23 May 2012, while Jesus wrote the sent date as 24 March 2012! Thank you Jesus! 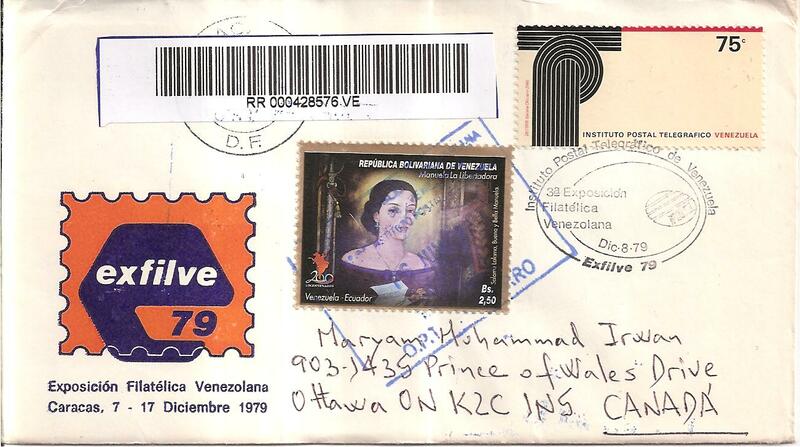 My first cover from Venezuela. It’s from Jesus Moret. I think Jesus sent me a registered letter, since there is a barcode with a postmark at top left of the cover. There are two stamps affixed. 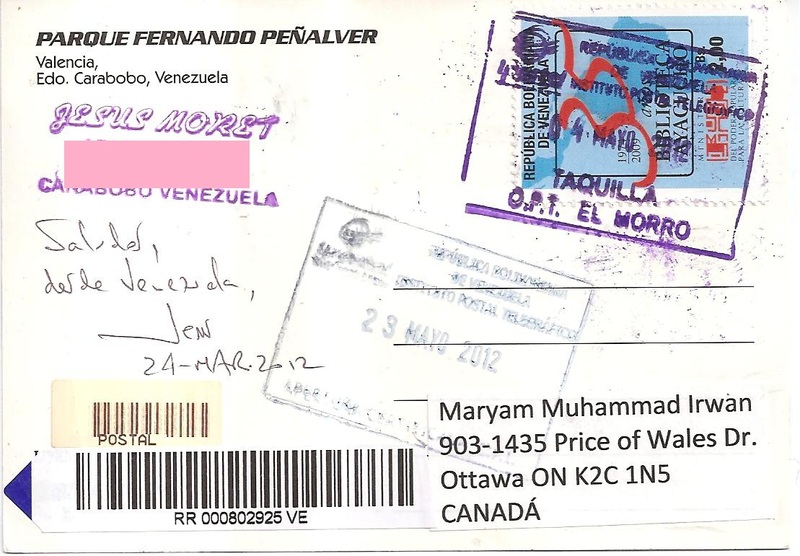 The postmark date on one of the stamps is June 16th, 2011 I think, while at the back of the cover there is another postmark with a different postmark date, July 8th, 2011.